I recently finished reading “Peter Pan.” Go ahead and make fun of me that I read it. However, it was thoroughly entertaining and brought many insights to life. In the book, Neverland is a magical place that exists in the minds of children. It is full of wonder, adventures, and mischief. 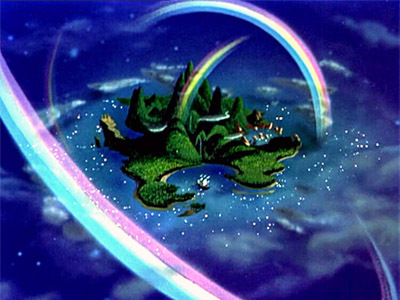 One would think that Neverland would be perfect and since it exists in the minds of children. However, it has murder, deception, jealousy, thievery, kidnapping, and betrayal. Either children are messed up or it is further proof that pure innocence cannot exist….not yet at least. This began a train of thought about the Church and the culture the Church has created. Anyone who has a conversation with me will undoubtedly find that I am not an advocate of Christian films, music, or fiction. The reason for it is this: the Church is trying to create Neverland. We want to create wholesome entertainment that is enjoyable for the entire family. We want to create uplifting music that raises our spirits. We want to read literature that ties together with a pretty bow. I cannot seem to understand this. Possibly because I do not have a family. Nonetheless, the Church, for the past few decades, has been set on creating Neverland. But they do not understand that Neverland is not much better than reality. But this has only been a recent belief. At one point in time, the Church played a major role in creating beautiful culture. The music that the Church helped create is the basis for today’s music. The art the Church helped shape is the foundation for modern art. The literature the Church put out was once something worth reading. And then something changed. The Church moved away from creating culture and began creating Neverland. We want to create something in which only we can participate (let’s be honest…how many of us would recommend “Fireproof” to a non-Christian friend?). The problem with creating Neverland, is we do not account for everything that actually happens. We are wanting to tell it from the perspective of Peter Pan (who is innocent and happy – doesn’t see anything wrong with what takes place). But to look at it from the narrator’s perspective is to see it for all it is worth. Neverland had murder, the Church has horrible acting. Neverland had deception, the Church has unoriginal music. Neverland had kidnapping, the Church has bad scripts. Neverland had jealousy, the Church has characters that are un-relatable because of how fake they appear. I don’t mind if the Church wants to create Neverland. Just show it for what it is. It is not innocent like one might think. Show the deception, show the murder, show the jealousy, show the rage, show the brokenness. The last time I checked, the Bible is full of all of this. Only through brokenness can one see beauty. So, as a Church, let us begin to create something that will be studied in the future. Let us begin to create something that adds beauty to culture. Let us begin to be realistic about Neverland. And finally, may we stop creating a sub-culture. Seriously. Let’s stop that. Soon. I don’t know how many more horrid films I can force myself to have to smile about when someone says I should watch it.